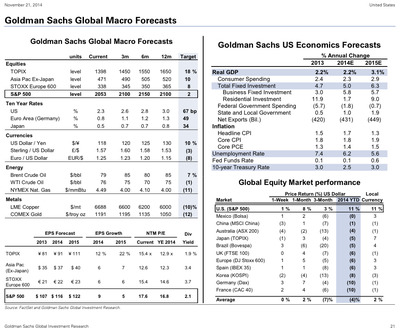 As 2014 winds down, Wall Street’s research departments have been publishing their 2015 outlooks for the markets and the economy. 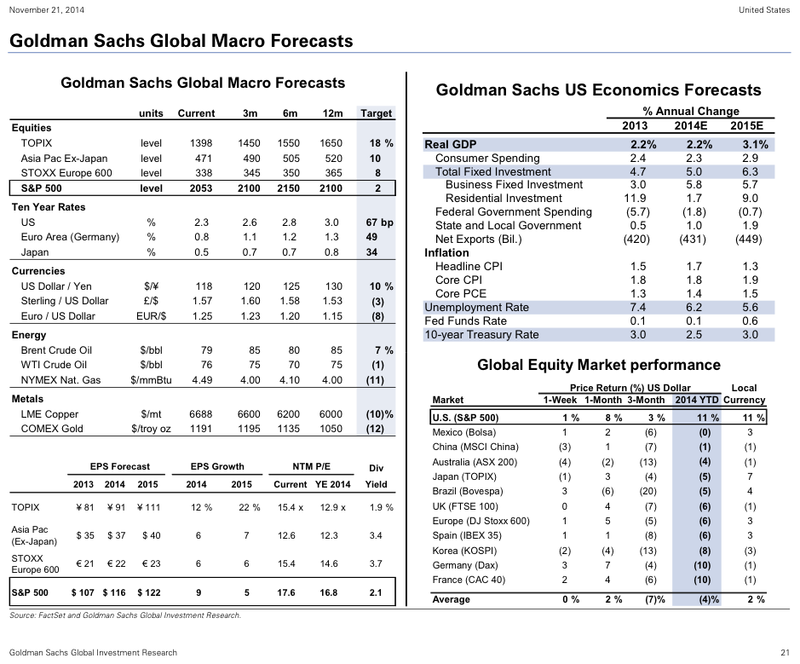 In the past week, Goldman Sachs laid out its forecast for the US stock market and US economy, It also identified its best trades and market themes for the year. But if you don’t have time for all of that, Goldman Sachs’ David Kostin sums up pretty much everything on one slide in his new Weekly Kickstart note.